Dr Douglas Reinehr was born in Bairnsdale, Victoria. He is a graduate of the University of Melbourne Medical School. He completed his Fellowship in Ophthalmology in Melbourne at the Royal Victorian Eye and Ear Hospital (RVEEH) in 1982, followed by further experience in Hamburg and as a clinical assistant in the Vitro-Retinal unit at Moorfields Hospital, London. Dr Reinehr’s main consulting practice has been at Cabrini Hospital, Malvern. 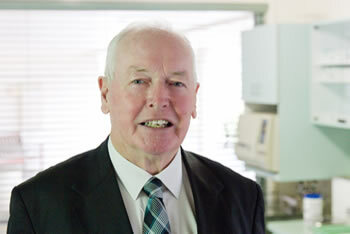 He was in the first group of Melbourne surgeons to introduce Excimer Laser Surgery in 1991 at the RVEEH. Dr Reinehr is a Fellow of the Royal Australian and New Zealand College of Ophthalmologists (FRANZCO) and a Fellow of the Royal Australasian College of Surgeons (FRACS). His special interests at the Peninsula Eye Centre include glaucoma management and diabetes eye assessment.